The Water Poet in Spitalfields is among the finest and best-known pubs in the area. 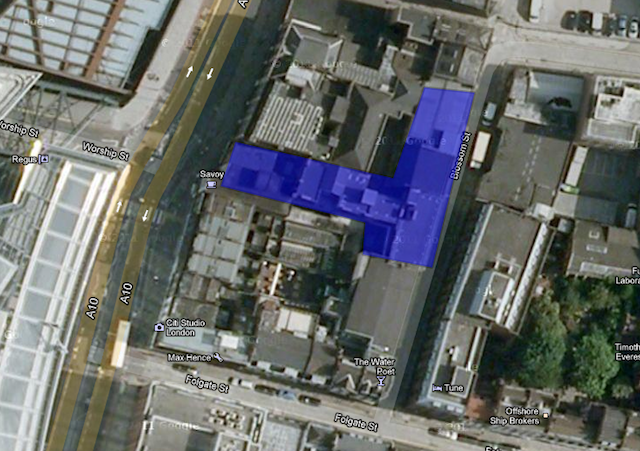 But its now-charming beer garden was not the place to be on 4 June 1884. The neighbouring building was aflame. Inside, dozens of animals squealed, barked and roared in pain, making desperate, futile attempts to escape their cages. One of east London's most famous attractions was burning to the ground. The East London Aquarium is now an almost entirely forgotten institution (try Googling it), but was a building of some note in the 1880s. 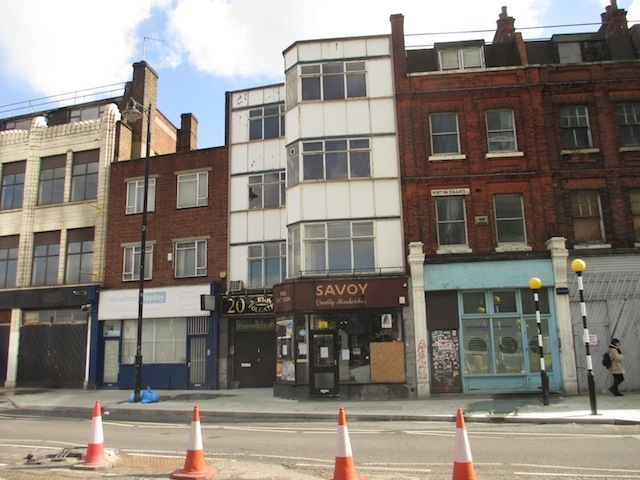 It stood just north-east of Bishopsgate, with a small frontage onto Norton Folgate and a larger facade on Blossom Street. The curious visitor could wander through a menagerie that included bears, lions, jackals, exotic birds, a seal, a wolf, several monkeys, civet cats and a caged elk...in short, every creature other than ones you'd expect to find in an 'aquarium'. The complex, owned by a Mr Edward G Sim, also contained a small theatre, a waxworks and an exhibition space. The building was empty, at least of humans, on the morning of 4 June 1884, when smoke was seen emanating from within. The alarm was raised and eight fire engines were dispatched. Immediately, efforts were made to save the animals, "whose cries and shrieks were most painful". When the firefighters were able to get inside, a scene of horror met their eyes. A suffocated lioness known as Nancy was found on the first floor. Nearby lay her cub who appeared "to have suffered more severely, as every vestige of fur had disappeared". The appalling litany continues: "On the opposite side of the room lay the calcined remains of a Siberian wolf and about a dozen monkeys." A part-baked bear had clearly "suffered intensely". Other reports suggest that police officers had shot dead a number of animals to end their suffering. But perhaps the most ghastly sight was reserved for onlookers round the back, on Blossom Street. After the fire had been doused, the surviving animals on the ground floor made numerous appearances at the rear windows, held in by flimsy bars. According to one report: "...soon the whole form of a huge black bear came into view. The spectators were then horrified by seeing the animal extend its huge paws, and apparently thinking — poor beast — that its morning meal lay upon the ledge, convey to its mouth the large jagged fragments of glass that were scattered before it. The effect of this dreadful repast was quickly shown by the rush of blood and foam which issued from the animal's mouth and nostrils." As well as the loss of animals, the waxworks, theatre and a collection of pictures worth £500, were also destroyed. From the exhibition space, the ropes, nooses and other paraphernalia belonging to the recently deceased executioner William Marwood were also lost. It was not the first time the menagerie had made the news. Earlier press reports refer to numerous occasions when employees were accused of animal cruelty and, in one case, poisoning a lion. The rescued bears and other property from the blaze were put up for auction the following month. As far as we can tell, the cause of the fire was never ascertained. The buildings were quickly replaced. 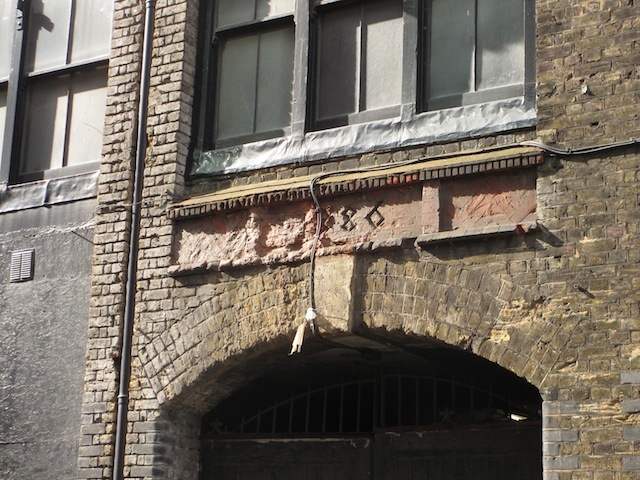 If you visit the site today, the Blossom Street facade carries the date '1886', a couple of years after the fire. 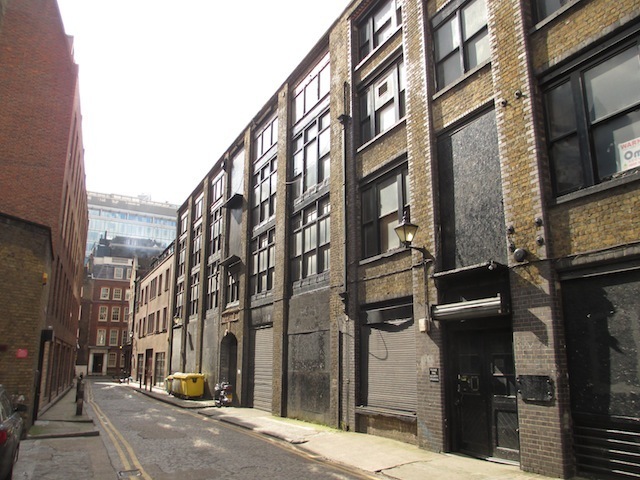 These replacement warehouses are now boarded up, awaiting major conservation and development work (PDF), which would also see the Water Poet's beer garden enlarged to form a public space. Perhaps a small memorial to this forgotten and grisly event might also be installed. UPDATE, August 2015. The redevelopment of the site has now been put on hold following a campaign by locals. Main source: Leeds Mercury (requires subscription to British Newspaper Archive), and other press cuttings from the time. The only images we could find are sketches from the Police News (also requires subscription).